Aberdeen Sewage Treatment Plant in Aberdeen, Washington started up their new Electric Infrared Incinerator in May, 1981. 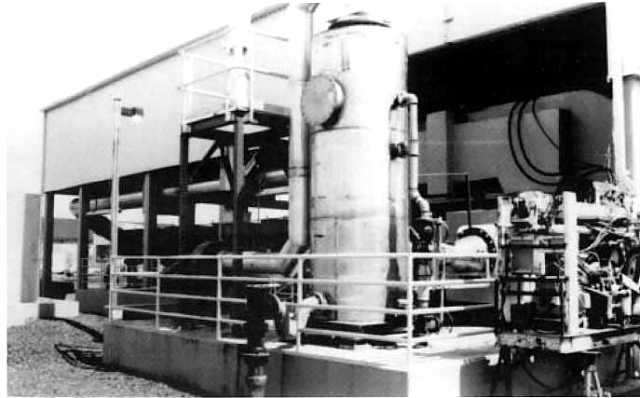 The sewage sludge incinerator, product of Shirco, Inc., needed a pollution control device in order to meet state, local and federal requirements for atmospheric emissions, according to the emissions test on the unit performed January, 1982. Chosen was a Model 24×24- 48HET-2S venturi scrubber. This electric incinerator design begins with a rectangular carbon steel shell, lined with fiber blanket insulation. Material to be incinerated is conveyed horizontally through the furnace on a woven, high temperature alloy belt. Process heat is applied by arrays of silicon carbide heating elements and is regulated by closed loop temperature control. The incinerator processes sludge with a wide range of solids content at feed rates up to 45 tpd. Sludge is dewatered by a plate and frame press. The uncontrolled (prescrubbing) emissions from the Shirco incinerator measured approximately 17 lbs. particulate/ ton dry sludge at a number of operating installations. Allowable particulate emissions needed to be held to 1.3 lbs. of emitted particulate per ton of dry sludge feed with plume opacity of 20 percent or less. The chosen scrubber unit allows refinement of field operating conditions as a result of the specially designed manually adjustable variable throat. An increase in performance, or a reduction in energy consumption may be obtained with this adjustable feature. Manufactured of stainless steel, the scrubber units have high corrosion resistance and high temperature operating capability. 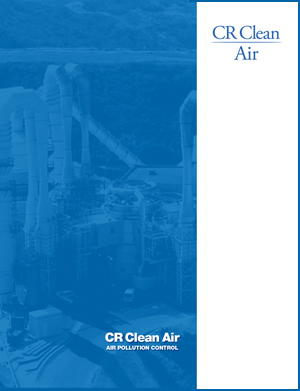 The system consists of a horizontal venturi section with water sprays, a vertical separator tower with sprays and a chevron-type internally mounted mist eliminator. Results of the particulate emission test after using the scrubber showed actual stack emission to be 0.21 lb/ ton averaged over 3 runs. Actual scrubber efficiency was 98.7 percent. The plume opacity as determined by an observer qualified by the State of Washington was under 5 percent.